When I first received the invite to come along, I thought okay, what is going to set this one apart from the rest? 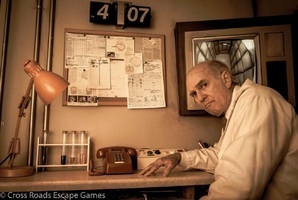 I've been to my share of escape rooms, some were great, others needed to mature a little more, but after you've done so many, you want to find a uniqueness about the next one. I read the concept of everyone starting off separated into different rooms, that really caught my eye. The idea of everyone being a different character based on a quirky personality test was also nice. I had my eye set on being the detective (which I was able to be ). I watched as my friends became elected into the other positions - the jock, the rebel, the nerd, the virgin and the prom queen. To conquer this escape room, you really need the right dynamic. Everyone has their own puzzles to conquer, but at the same time, one may have something for someone in another room. I don't want to spoil much, but I will speak from being the detective. If you find yourself in this spot, I hope you don't get overwhelmed easy. You are the glue that bonds everyone and it is your responsibility to make sure everyone is okay and gets what they need. I highly recommend this room and will be speaking nothing but good things about it to anyone interested. What a great team at Crossroads, I can't wait to see what rooms you all come up with next. Do you have the wits to become the magician's apprentice? Or are you a clueless clown? Come and test your skill to see if you have what it takes to look past all the tricks and illusions in this crazy, fun, and upside-down game! The game can be played with less than 4 players, but the minimum number of tickets (4) must be purchased in order to reserve your game. 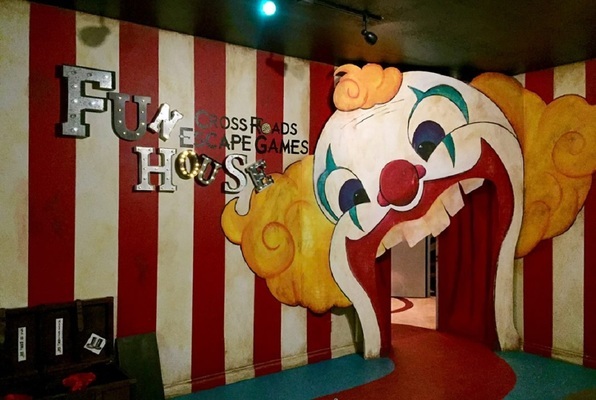 Reviews of escape game "The Fun House"
My friends and I haven't had this much fun in a long time. Had the most amazing time! There is no slacking and letting your friends lead in this game. Everyone must do their own part of the puzzle before you can come together as a group. Room is detailed and immersive. Characterization is unique and adds a fun element. 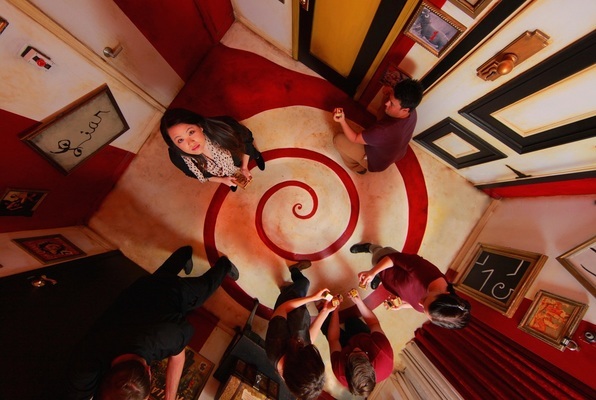 Sets a new standard for an immersive, tense escape room through fantastic lighting, sound, and set design. You can tell the owners took a lot of care into making a professional movie-grade experience. From the moment the briefing starts to our send off at the end, everything was customer centric. Warm and welcoming at the beginning. Chilling and dangerous during the game. Loved this room and company. So amazing! My friends and I couldn't stop talking about it after we left. We were SO CLOSE to escaping and now all we want to do is go back and try it again! It's beautifully designed and with the dramatic lighting and eerie sounds, it seriously felt like we were in a horror movie. It was everyone's first experience in an escape room and we were all nervous about what we were getting into, but the owners we so kind and helpful that they were more than willing to make sure we were all going to have a fun time! I just recommend to book in advance because those time slots fill up fast!